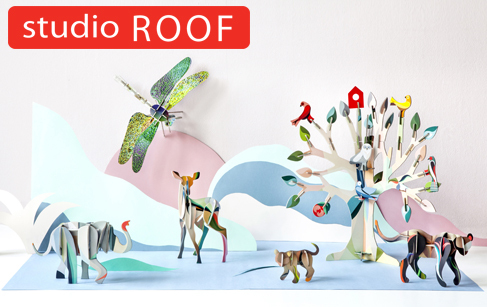 Together with our three children, we started Studio ROOF in 2005. Our inspiration lies in the beauty of childhood, the imagination, nature, peoples of the world, art and craftsmanship, and our drive has above all been the urge to create, and to unfold a new imagery. and there is no end to imagining new poetic toys and objects! More than 10 years years down the line, we proudly see that our creations are sold worldwide in the most beautiful shops. The imagination is always the motive behind our collection, and we believe that imagination is not bound by age. Our products are creations for all ages, inviting to tell stories to each other, to inspire and to be inspired.